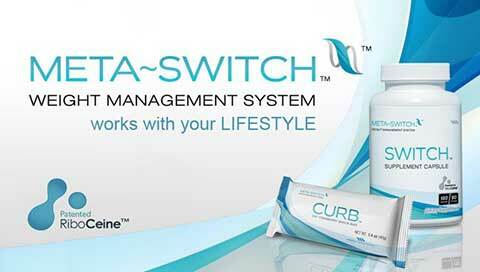 Meta Switch is a diet pill that is marketed in a way that makes it sound more complicated than it is. According to the manufacturer’s website the product “wakes up your sleepy metabolism without raising your heart rate or blood pressure”. This is apparently achieved by the formulation’s ability to trigger the “switch” that activates a recently discovered fat burning enzyme called AMP-activated protein kinase (AMPk). The good news is this enzyme is known to have a relationship with the metabolism. It can also influence insulin signalling, which could help control the appetite, but the whole AMPk angle just appears to be a way of making the product sound more unusaul than it is. The ingredients used in the formulation are all diet pill regulars, so similar claims could be made for any product that contains, Vitamin B12, Alpha Lipoic Acid, or any of the other inclusions. The capsules have to be taken with 12 oz of water and two capsules are needed three times each day, half-an-hour before breakfast, lunch, and dinner. Vitamin D2 (333.34 IU): Scientific study suggests people who do not get enough Vitamin D may be more likely to gain weight. 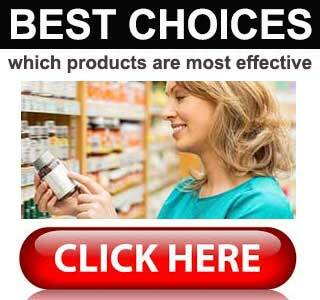 Thiamin (1mg): Also called Vitamin B1, thiamin is necessary for a healthy metabolism. 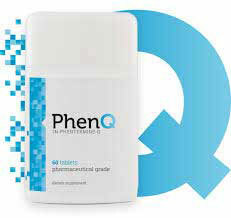 Vitamin B6 (5mg) + Vitamin B12 (25mcg): Two more B Vitamins that are known to encourage a healthy metabolism. Potassium (7.2mg): A mineral that is not capable of directly encouraging weight loss, but can help prevent feelings of muscle fatigue that may limit levels of physical activity. Alpha Lipoic Acid: ALA appears to have value as an appetite suppressant and this ability is believed to be related to an ability to affect levels of AMPk. Ginseng: A popular Chinese herb that has the ability to boost immune function and help provide good health. Citruline: An amino acid that may encourage vasodilation (widening of the blood vessels). This could lead to a reduction in blood pressure. Leucine: A branched-chain amino acid that can can be useful for encouraging muscle growth. RiboCeine: A branded ingredient produced by Max International. RiboCeine is designed to help protect and detoxify the cells. The claims made for the product appear to be a reasonable match for the abilities of the ingredients used in the formulation, so the pills should provide some degree of appetite suppression and may also encourage fat burning, but the formulations is not nearly as powerful as that used in some of the top diet products. Reported side effects include fatigue, skin irritation, nausea, and swollen limbs, so we advise all potential users check with their GP prior to using Meta Switch to try and lose weight. The manufacturers website contains a number of positive reviews, including one left by a woman who claims use of the product helped her to drop three dress sizes in 12 weeks. We tend to be very hesitant about believing comments that are published on manufacturer’s websites. 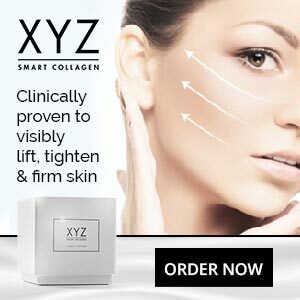 Independent reviews are more reliable and we found several, most of which were left by people who say the product does not work. Customers are promised a 30-day money back guarantee, but the only way to contact customer services is via an online form. 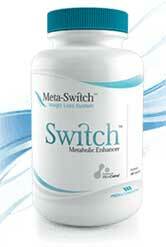 If all the scientific mumbo-jumbo is left out of the equation, Meta Switch is just a diet pill that is designed to provide appetite suppression and improve the metabolism. These two features should be enough to create a calorie deficit that may necessitate fat burning, but many competing products are likely to provide faster results and some of the best products can provide additional benefits as well. We’re not saying Meta Switch won’t work, we’re just pointing out other products are likely to work much better. Meta Switch is only available from the manufacturer’s website and, with a price tag of $89 (£67) for 30-day supply of pills its a damned expensive product. It is possible to get the price discounted down to $65 (£49) per bottle, but customers who wish to buy Meta Switch at this price will need to commit to auto-ship program that requires a three-month commitment. Auto-ship programs are always bad news because a new shipment of pills is sent out each month and payment is automatically taken from the card that was used to place the original order. This is a situation that will continue until the arrangement is cancelled and the Meta-Switch website provides no information about how this can be achieved. Dieters who are considering purchasing Meta Switch in this way also need to bear in mind the fact that committing to a three-month agreement will also nullify the guarantee. However, at the time of this review, the product was not available to customers in the UK, so it’s not a viable option anyway.